Round Rainfall Shower Head Just $29.99! Down From $90! PLUS FREE Shipping! Don’t miss this amazing deal from Amazon! Grab this FabricMCC Round Rainfall Shower Head for only $29.99, down from $89.99, PLUS FREE shipping! FabricMCC Round Rainfall Shower Head can let you relax at home like in a luxury spa center. It features a sleek thin round design, measuring 9″, giving you a soothing experience and making you feel refreshed and rejuvenated with every shower. This FabricMCC Round Rainfall Shower Head gives you a luxurious shower experience and can be a perfect match for all your bathroom decors! 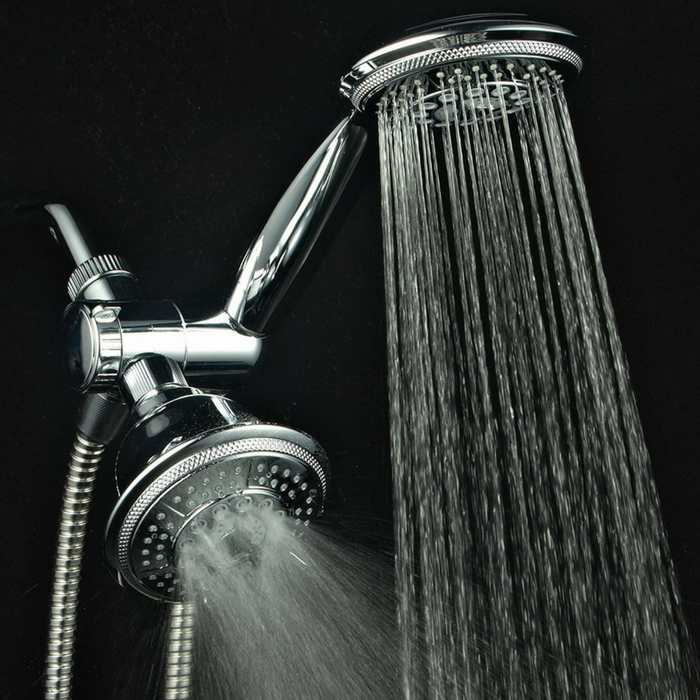 RIGHT SHOWER SPRAY AREA: Rain shower head has the right amount of water pressure and the right shower spray area. 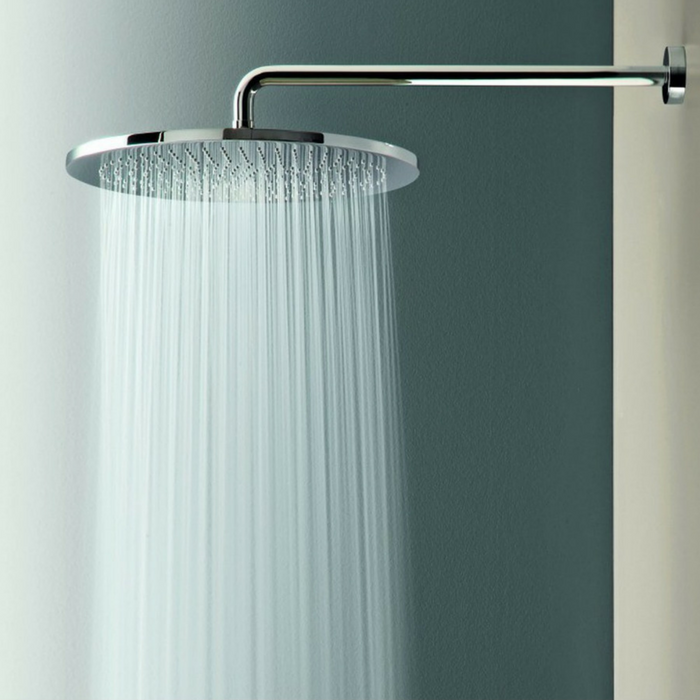 NO LEAK AND DRIP: The entire body of the shower head is made of solid durable plastic. It comes in a chrome finish, which gives the unit a bright and mirrored look. It won’t leak or drip if a proper installation is followed. PERFECT PRESSURE: It comes in a chrome finish that is guaranteed to last a lifetime without tarnishing, corroding or flaking. The 9-inch spray head (No Water Restrictor) can deliver the maximum water flow of 2.5 gpm. The shower head works even under low water pressure. WONDERFUL EXPERIENCE: High-pressure rainfall shower head is a rain style of shower head, so the water coming out of the nozzles creates a rainfall experience. It works by mixing the water passing through the jets with air and as a result, you get gentle and pleasant water droplets on your skin. FIT ALL BATHROOM DECORS: It features a sleek thin round design, measuring 9″. Rainfall shower head is a standard shower, it can perfect match for all the bathroom decors. Bluetooth Speaker Rain Shower Head Just $19.99! Down From $60! Head over to Amazon to get this Spa Living White Bluetooth Speaker Rain Shower Head for just $19.99 down from $59.99! PLUS FREE shipping with Amazon Prime or for orders over $25! 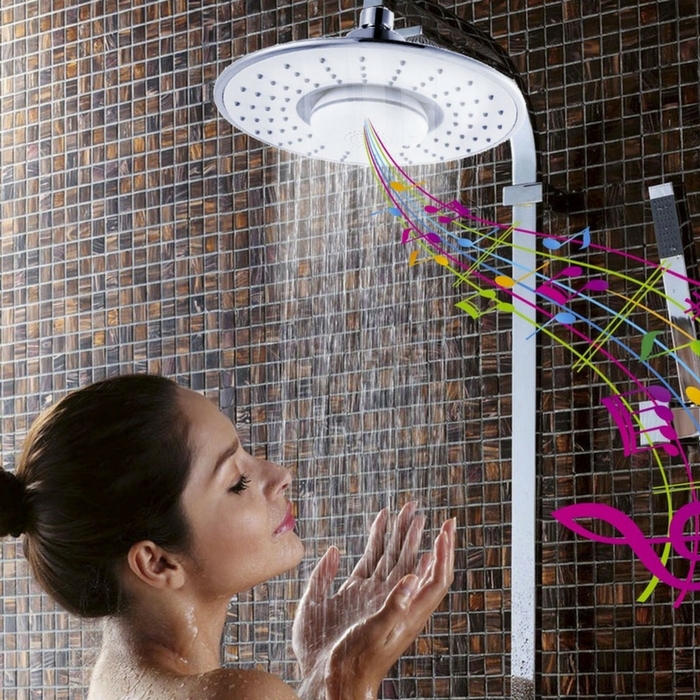 Singing in the shower is now reinvented. Get better control of your music while enjoying your night bath. This shower head has high quality sound that you can control. It has crisp and clear sound. You can also change the volume and the track depending on your mood using its easy to tap controls. If you are sick of getting your phone wet, you can also answer an incoming call while in the shower. Plus, relax your whole body with its spa-like water pressure!